Kill – Luigi’s Flying Tires. There isn’t much to say except it didn’t work well. We went on opening weekend and got stuck in a corner along with most of the other riders. A few happy souls managed to stay away from the walls, but it was a very frustrating attraction – something definitely Disney doesn’t want in their theme parks. 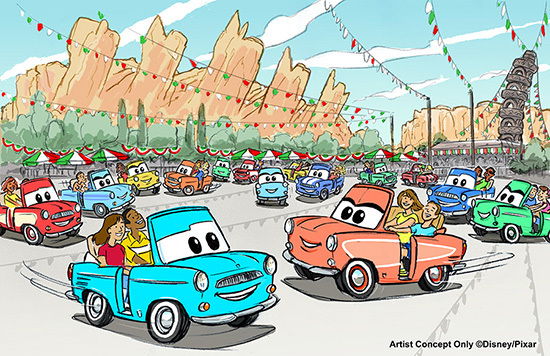 Its been reported that a new attraction called “Luigi’s Festival of the Dance” may be popping up in its place featuring a trackless ride system similar to that in Disneyland Paris and Hong Kong Disneyland. THAT would be cool! Refurb – For this one, I’m going with Rocket Rods. Most of you probably never even got to go on this attraction, but it was a lot of fun – when it worked. The problem was it didn’t work very often and it was a roll of the dice if it would work while you were there. It replaced another extinct attraction that I loved, the Peoplemover. This was like Peoplemover on steroids. It was meant to be a thrill attraction utilizing the existing Peoplemover track with high-speed vehicles that would “rocket” you around Tomorrowland. But the engineers also didn’t account for the stress on the pylons from vehicles that moved much faster than the old ride and pretty soon it became evident that the attraction wasn’t going to work and it was removed. To this day there is nothing on that track and instead of being something appealing to watch as it zipped around, it’s now an eyesore. With modern technology, I’m hoping they could resurrect this ride or something like it to not only utilize the track but bring back some of that futuristic feel to Tomorrowland. Honorary Mention – I usually don’t do honorary mentions, but I had to bring up America Sings. It was and still is one of my favorite attractions at any Disney park. But it really didn’t fit in Tomorrowland and probably it was appropriate for it to disappear. However, I would love to see it get resurrected – maybe on Main Street? Not that there’s any room for it there. Or maybe on Paradise Pier in DCA? Marry – This one was easy. Scarlett Johansson. Oh wait, that was for another Kill Refurb Marry. 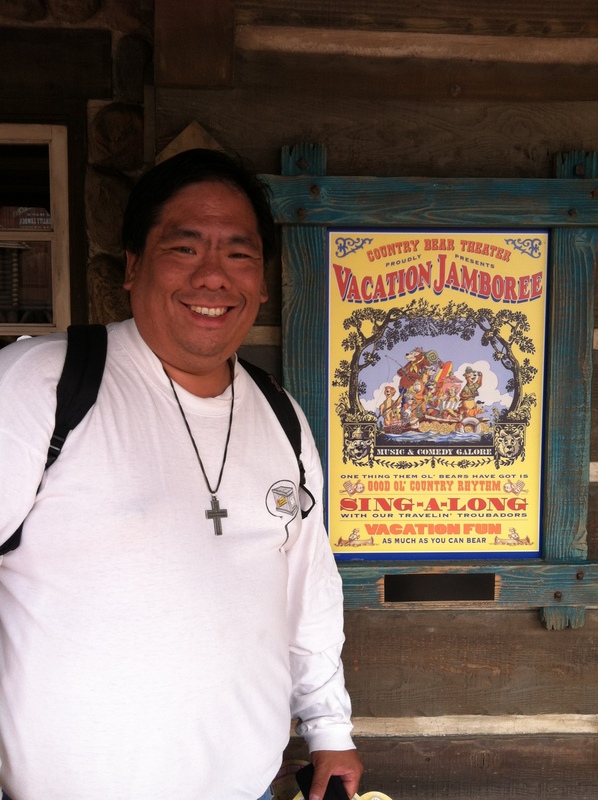 Country Bear Jamboree. Disneyland lost their version to make way for The Many Adventures of Winnie-the-Pooh (which I do love – although it’s not as good as Pooh’s Hunny Hunt at Tokyo Disneyland). I’ve missed it ever since. 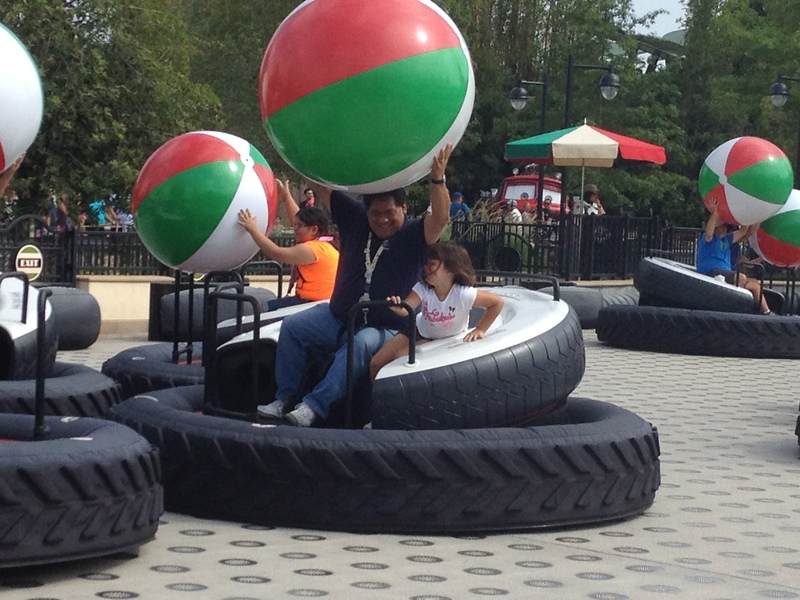 When we go to Walt Disney World, it’s one of the attractions I make sure to go on every time. When I visited Tokyo Disneyland I made sure to visit it again. It’s good even in Japanese. I wish there was a way to bring it back to Disneyland, but it doesn’t look like it will. Still this was one of the best. I am SO SO sorry that I canceled at the last minute! I had a family emergency, and I just couldn’t get it together. When this hop goes up next month, I’ll add this post to the list so you don’t have to give it another thought. Apologies again! Not a problem at all! Hey, family emergencies are always more important. Thanks for adding me to the post and seriously, it just means that I’m ahead! Very cool to get a look at the Disneyland side of things! The Rocket Rods sounds like a cool concept, it would be neat if they brought it back with more advanced technology. I completely agree! I would love to see it come back or something similar since technology keeps advancing at such an incredible rate. Maybe a Star Wars Speeder Bike ride? Next Next post: Dole Whip Fans? – The Local Place Strikes Again With the Lava Whip!